In today’s market there is a growing need for products that have the versatility to achieve any design option, despite any obstacles that we may face. For more than 30 years, wedi has been on the cutting edge of the shower system industry, developing products that simplify the construction process, and widen the range of possibilities for design. One of the newest items created by wedi is the Easy Box, which makes it possible to position the drain anywhere in the shower without removing the subfloor. This is especially important for hotels, condos, and other multi story buildings that do not allow any modifications to be made to the subfloor, due to structural issues, existing water or electrical lines, or even other tenants. In these type of situations, horizontal drainage may be necessary to accommodate a drain’s location without modifying the subfloor. Also, many concrete slabs have the shower area recessed and may require the floor to be raised before the shower installation. The Easy box is the perfect product to make this process quick and easy. 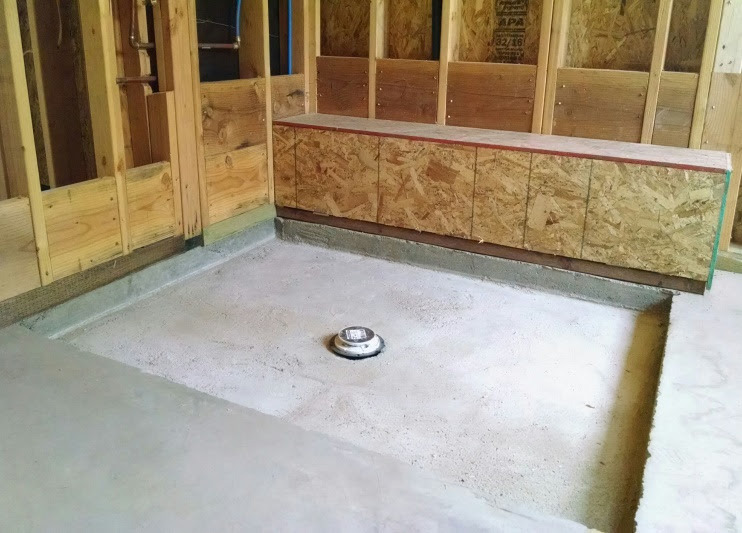 Rather than spending all the time and effort to build the recess up with a dry pack or concrete pour, you can simply customize the Easy Box to the correct size and install with thin set, so you can immediately begin the installation of the wedi shower system on top. Using the Easy Box for this application will save time, energy, and money. 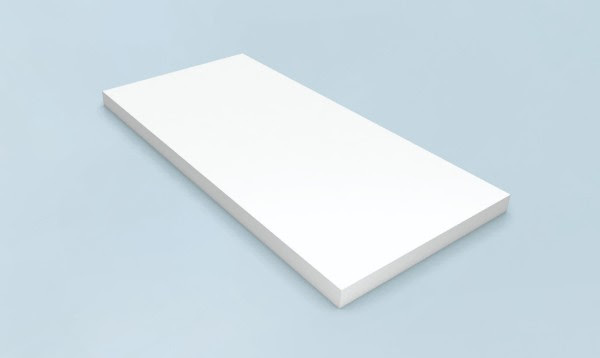 The Easy Box is a 36”x72”x3 3/8” block of expanded polystyrene designed to be used in conjunction with the wedi shower system. Expanded Polystyrene was used in order to keep the cost down. Unlike wedi’s closed cell expanded polystyrene, this foam is not waterproof, but waterproofing below the wedi system is not necessary. When placed below the wedi shower base, it raises the height of the shower floor, allowing the drain line to be ran through the Easy Box and positioned anywhere in the shower floor. In order to run the drain line horizontally through the Easy Box, wedi has developed the Angle Drain. The Angle Drain is designed to be used with the wedi Fundo Primo shower base, or the One Step shower base. 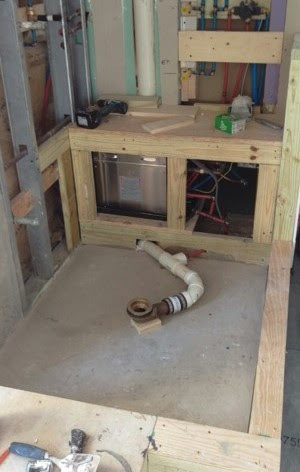 The installation of the Angle Drain should be done prior to installing the shower base. 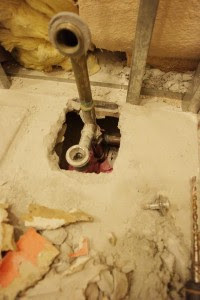 A plumber can connect the drain line after installation if the drain line is in the wall. In some cases, it may be necessary to have the Angle Drain connected prior to setting the Easy Box. This is most often done when there is no access to the drain line after installation. The bottom of the Angle Drain would need to be supported in this application to minimize movement when installing the top piece of the Angle Drain into the top of the wedi shower base. 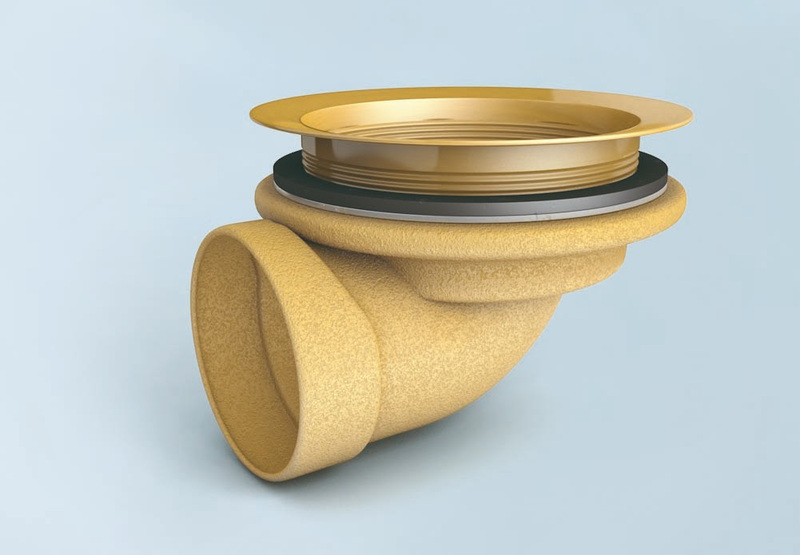 Unlike wedi’s standard compression drain, it is recommended to have a licensed plumber perform this installation because it is glued directly to the drain line. Once the drain location is determined, the Easy Box can be modified to fit around the drain line. The material used to create the Easy Box is EPS foam (expanded polystyrene) and can be manipulated to reach any size or any shape of shower. Multiple Easy Boxes can be used if necessary to reach larger sized showers. The Easy Box is installed using a ¼” x ¼” trowel and a modified thinset. It is always best to use proper troweling techniques by making sure all of the lines are combed in the same direction on the floor and Easy Box. When the Easy Box is installed correctly, the wedi shower base can now be installed on top of it using the same troweling technique used to install the Easy Box. Sometimes the best solution is not always the most complicated. Like all of the wedi products, the Easy Box drastically reduces the amount of time and labor needed to properly prepare a shower for tile. By eliminating the need to remove the subfloor to move the drain, it is now possible to position the drain anywhere in the shower, anytime. This is exactly the kind of out of the box thinking that we have come to expect from wedi. For any questions about the application or installation of the Easy Box or Angle Drain, contact Masonry & Glass today for more information!